$300 Amazon Gift Card Contest! 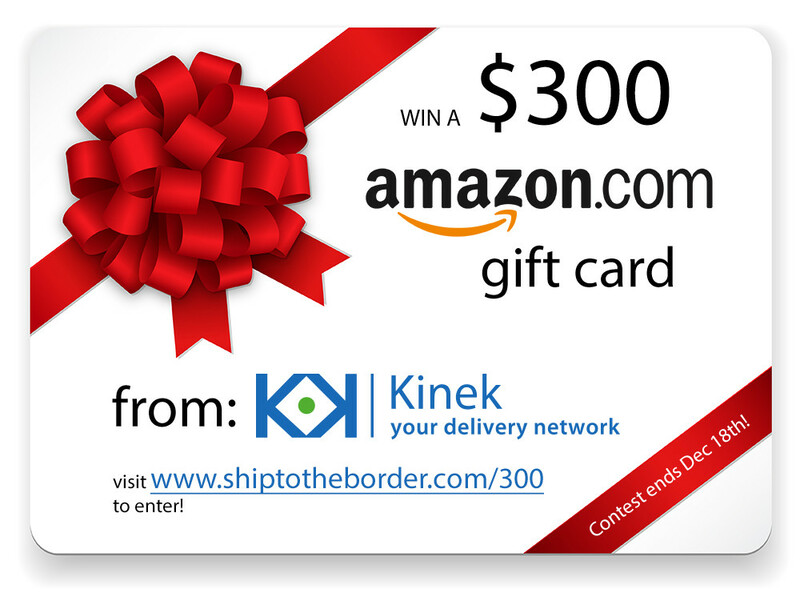 Head over to www.shiptotheborder.com to find out how you can enter into the Kinek holiday giveaway! Most KinekPoints are CLOSED Thur., Nov. 26. As well, a few are closed on Friday. Prior to leaving or shipping items to your KinekPoint, you should always login to your account to confirm information (i.e., View Hours & Pricing, ensure your KinekPoint hasn’t moved, etc.). AN Deringer: Warehouse CLOSED, Thurs, Nov 26. However, office will be open with regular hours. Must call ahead to have your packages moved over to the office.